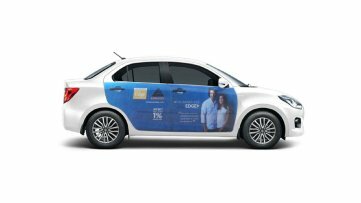 Car Advertisement that gives you the Highest Brand Visibility. Our mobile app helps you track your ads in real-time. Digital Video Advertisement on Cars plying to & from Airports, Tech Parks & Malls. Promote your Brand 35000 ft up in the sky with Indigo, Spicejet, Air asia. How about your Ad on a Drone flying around a Mall to increase footfalls to your store? Or Let us just get a little more creative. Control your car advertising campaign in real time (Impressions, heat maps, marketing KPIs). Simply drive as usual and earn money per month and pay off your loans and emi’s. Choose your favorite brand and sticker designs and you can have any brand you want. Great designs will make your car stand out of the crowd and you will have everyone looking at your car. We at BrandOnWheelz are the leading ad agency for car advertising and we are the only company that guarantees you “Highest Brand Visibility” and not just that, do you want to track where all your brand advertisement has traveled?? With the GPS Tracking feature from BrandOnWheelz, you can track your advertisement and know its location with ease. Have you ever looked at a successful brand and thought “Why is my brand lagging so behind?”; Have you tried all means of advertising for your brand and still had no success? Well you’ve come to the right place. 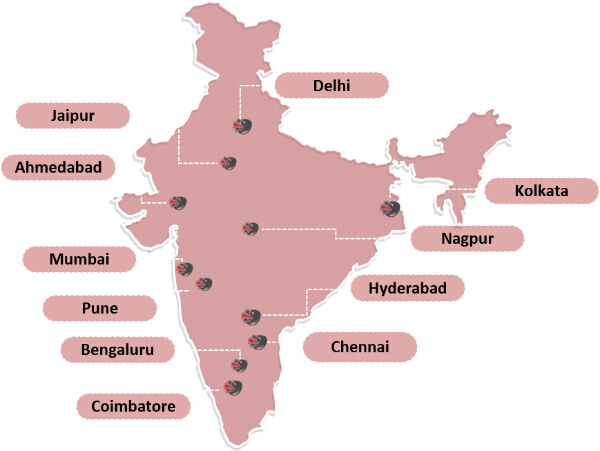 BrandOnWheelz has the presence in over 14 cities in India. "Thanks Team.. You guys did a great job with Good day Festival of Smiles Campaign"
"Our organization was really impressed by Brand on Wheelz responsiveness towards the campaign execution & it was pleasure working with your team. Even though we had regulatory glitches during initial execution your team had managed to solve & proceed further to close with successful promotion. Special thanks to Mhd Asghar & Kiran for their efforts to monitor the entire process. Shall recommend Brand on Wheelz to my known source for your awesome execution. Thanks a Bunch!!" "Your Flawless Customer Service & Transparent Process has impressed us. We consider BrandonWheelz as a Trusted Partner to work with. Keep up the good work." "Kudos !! 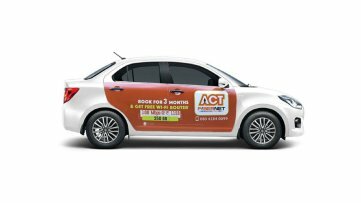 to Brandonwheelz team on delivering an excellent job with our pre-launch and launch campaigns at Nagpur, I was able to get real-time analytics on my ads and impressions, will again use your service, highly recommended !!"